With a tensile strength of 31,000 to 44,000 psi, rigidized aluminum sheet is the material to choose if weight is your primary concern. 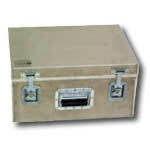 Rigidized aluminum cases offer weight reductions of up to 35% over comparable laminate cases while maintaining an outstanding strength to weight ratio. At Engineered Case Manufacturers we offer you the choice of .063 material for ultimate strength and a new .050 material for even lighter weight. Each sheet is made from 5052 aluminum alloy (the same alloy used to manufacture aircraft fuel tanks). Whatever your choice, each material is mated to our own custom extruded valance (complete with neoprene seal) that guarantees outstanding structural rigidity. Compared to manufacturers of drawn aluminum cases, Engineered Case Manufacturers offers you more choices in size, hardware, and design. Because we TIG weld our cases, as opposed to forming using a mold or form, size is unlimited. 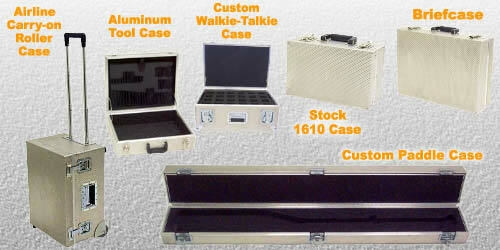 Your cases can be manufactured exactly to your specifications, not someone else's stock sizes. Your rigidized aluminum case can be made even more user-friendly with the judicious use of optional hardware. 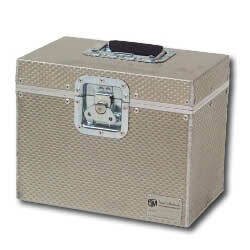 Recessed or collapsible pull handles, recessed casters and lockable latches are but a few of the hardware choices that can be used to customize your cases. We've even had customers design their cases as luggage for air travel. When you choose aluminum cases, you are making an environmentally responsible choice. At the end of their useful life as a shipping container aluminum case shells can be recycled. 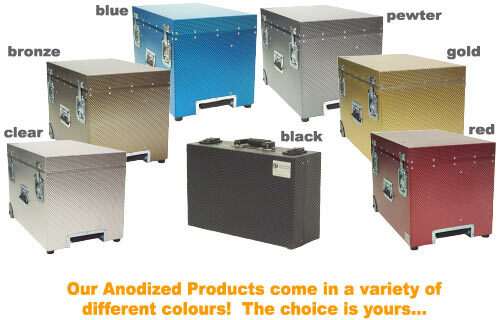 Aluminum cases can be painted, clear-coated or anodized in a variety of colours.